Since its tepid première at the Paris Opera in 1934, Perséphone has remained among the most neglected of Stravinsky’s major scores, unable to find a comfortable home on the opera, ballet or concert stage. My essay for tonight’s program by the Los Angeles Master Chorale. On the menu are some of the great choruses from John Adams’s operas (with brand-new piano transcriptions) and one of his favorite works of all time, Stravinsky’s Les noces. On Jan. 28, 1936, Dmitri Shostakovich woke up to read a sternly worded condemnation of his music in the official Soviet newspaper, Pravda. One unfortunate trend in how concert music is often marketed these days showers disproportionate attention on a ‘star’ soloist, who basks in the limelight and the obligatory standing ovations, as though the orchestra were merely the house ‘backup band’ graciously permitted to share the stage. 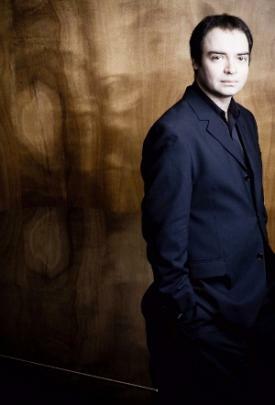 What a delight this concert was, in contrast, when Alexander Melnikov joined with the Seattle Symphony under Ludovic Morlot’s baton to reaffirm the unadulteratedly collaborative experience of a concerto. Rather than a parade of quirks justified as ‘virtuosity’ or a psychogram of a performer’s dominating personality, the 41-year-old Russian pianist provided a deeply satisfying, richly musical account of Beethoven’s Piano Concerto no. 1 in C major. And much of that satisfaction came from the sympathy Melnikov, Morlot and the SSO found in their partnership. 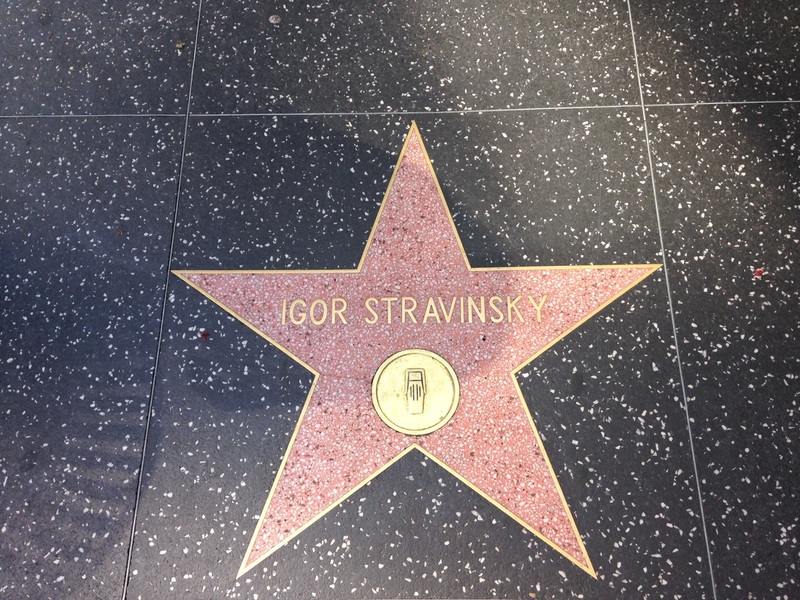 An apparent missing link in the development of the young Igor Stravinsky has been unearthed. Titled Funeral Song (Pogrebal’naya Pesnya in Russian), the piece was written by the 26-year-old composer as a memorial to his recently deceased mentor Rimsky-Korsakov in 1908. After a single performance, the manuscript was never published and was long believed to have been irretrievably lost in the 1917 upheaval and its aftermath. But it turned out to be hibernating amid a pile of old manuscripts gathering dust somewhere inside the St. Petersburg Conservatory.The Stravinsky authority Natalya Braginskaya described the find at hte International Musicological Society in St Petersburg early this month. Stravinsky recalled it as one of his best early works, but could not remember the actual music. Braginskaya, who has studied the orchestral parts (the full score has not turned up and will need reconstructing), describes “The Funeral Song” as a slow, unvarying processional with contrasting instrumental timbres: a dialogue of sonorities, very much as Stravinsky himself vaguely remembered it in his autobiography 25 years later. There are echoes of Rimsky-Korsakov, but also, she says, of Wagner, whose music Stravinsky admired more than he was later prepared to admit. I was intrigued by the Stravinsky connection in this painting, currently on display as part of Seattle Art Museum’s Modernism in the Pacific Northwest: The Mythic and the Mystical. 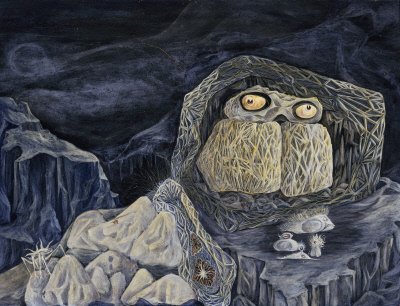 Leo Kenney (1925-2001), a native of Spokane, belonged to the second generation of the Northwest School of painters. He referred to “The Glorification of the Chosen One” section from Stravinsky’s Rite of Spring as the inspiration for Glorified One. The enormous influence of Stravinsky’s score on other composers — which continues to this very moment — is well documented. Associations between this period of his work and the “primitivism” and Cubism of his colleague Pablo Picasso are also frequently discussed in a more general way (usually in terms of their putative influence on the music rather than the other direction). But I’m curious now about how the music of Sacre specifically influenced particular visual artists. Any other candidates? The past few months have brought the ensemble far more exposure than usual (an appearance at Carnegie Hall, a concert for the League of American Orchestras, the launch of an in-house label): its appetite for new challenges seems unstoppable. So it’s hardly surprising that music director Ludovic Morlot is concluding the current season with an all-out marathon of orchestral virtuosity. The program of Stravinsky’s three pre-First World War ballet scores for the Ballets Russes in their entirety lasts close to three hours and, out of necessity for the players, requires two intermissions. It drew what appeared to be a close-to-packed house. No matter how well we think we know this music, the opportunity to hear the young Stravinsky’s three iconic ballets back to back is bound to prompt new perspectives. 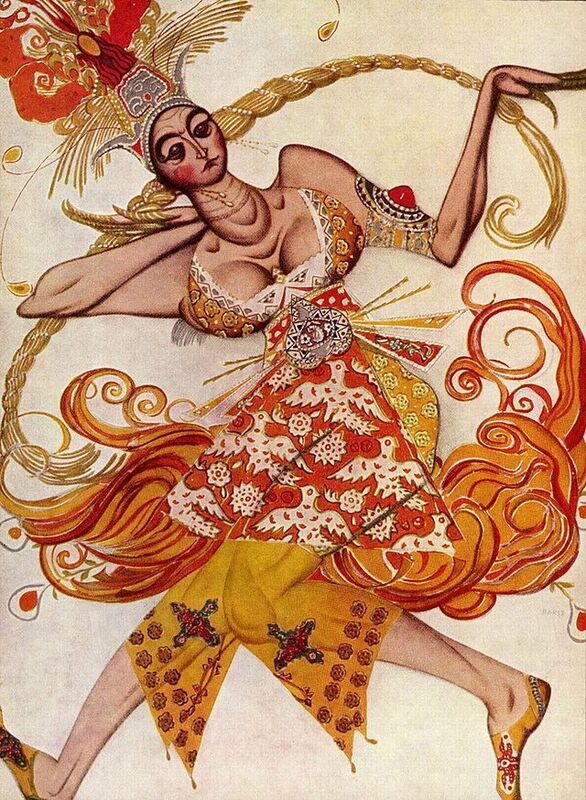 And Morlot’s deeply sensitive interpretation of the uncut, sumptuous score for The Firebird (1910) did precisely that – all the more so since, only two weeks before, he’d led the SSO in the complete Daphnis et Chloé, also for the Ballets Russes, which was premiered in 1912, the year between Petrushka (1911) and The Rite of Spring (1913). Time to get in the mood for this weekend’s final subscription concerts of the Seattle Symphony’s season — and Ludovic Morlot has planned one hell of a program, with all three of Stravinsky’s blockbuster pre-WW I ballets. I’m recalling the National Gallery of Art’s thought-provoking exhibition Diaghilev and the Ballets Russes, 1909–1929: When Art Danced with Music last fall. The show gave a dazzling overall impression of the many different areas of creativity that the wizard Serge Diaghilev somehow managed to draw together (not without a massive amount of drama): composers, writers, painters, sculptors, costume and set designers, lighting artists, researchers, propagandists, and naturally musicians and dancers. Diaghilev’s brain itself must have been a Gesamtkunstwerk. 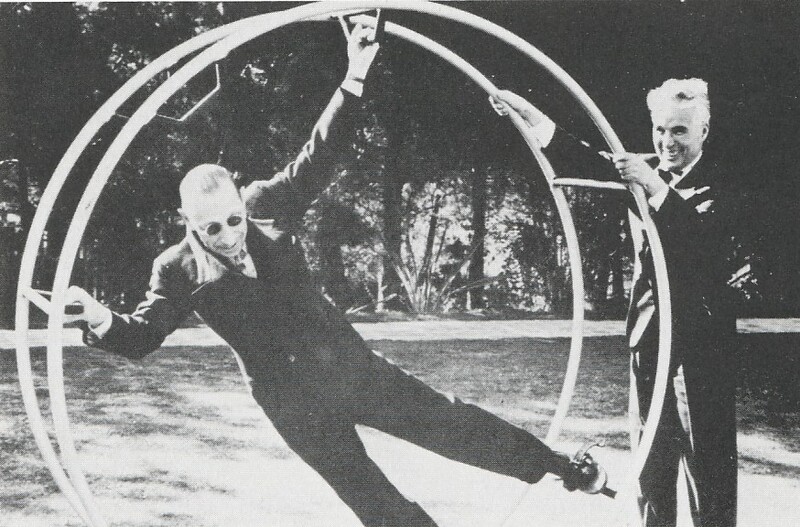 This was the way to out-Wagner Wagner, and Stravinsky certainly intended to do that. The exhibition also probed into future connections, the way these artists set currents in motion that would give birth to Cubism, Futurism, Dadaism, Surrealism. In less than two decades’ time, one sees the invention of something so familiar we take it for granted, the free mixing of commercial entertainment and more traditional forms of art, the valorization of branding and fashion within the intellectual realms of culture, and the troubling, persistent and essential fracturing of art into style and substance. Much of what is on display falls into the category of holy relics: Costumes worn by dancers who are legendary names; programs and photographs and publicity posters from tours of the company that are still spoken of in reverential terms by those who remember or knew someone who was there. Theater, including ballet, invites hero worship, and there are many objects in this exhibition that appeal to our celebrity pleasure receptors more than our artistic ones. [T]hat’s the difference between performance and the plastic arts. The allure of the former is all about the moment, the luck of being present, the willful illusion that magic is happening. Diaghilev sold that dream, perhaps more effectively than any impresario before or since.